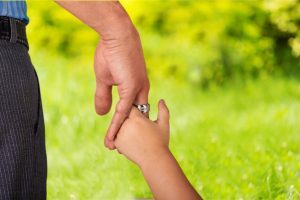 Although child custody orders are not set in stone, they can be difficult to change, as a court will usually require evidence demonstrating a change in circumstances before agreeing to modify a child custody arrangement. To learn more about whether your situation will convince a judge to change visitation or parenting time, please contact a member of our child custody legal team today. Demonstrate a change of circumstances. Furthermore, even if a parent shows good cause or demonstrates a change in circumstances significant enough to justify modification, the court will still need to determine the petitioning parent’s burden of proof moving forward in the case. This is determined by assessing whether an established custodial environment exists. According to state law, the custodial environment of a child is established if over a period of time, a child looks to the current custodian for guidance, parental comfort, discipline, and the necessities of life. If a court decides that a current established custodial environment exists, then it will only make a change to the custody order if the petitioning parent can provide evidence that the change is in the best interests of the child. Whether the parties live near each other. Only when an analysis of these factors supports the assertion that a change in parenting time is in the best interests of the child will the court agree to modify the prior arrangement. Whether the move will affect the relationship between the child and the noncustodial parent. If you have concerns about your child’s other parent moving out of state, please contact a child custody attorney right away. If you believe that your child custody agreement should be modified, please call Iafrate & Salassa at (586) 263-1600 to schedule a consultation with an experienced child custody attorney.